Home Moto Rainey on Lorenzo: "There is no doubt about a big one"
Rainey on Lorenzo: "There is no doubt about a big one"
"Lorenzo is more precise and does not drive as fast with the front end as Márquez, which may be the reason why it's costing him more," he explains. It is not that he is especially depressed Jorge Lorenzo, because he already knows what it is to undergo a change of brand and not get good entry results, as happened in Ducati, but sure that will be an injection of moral for him words like those he dedicates to him his old friend Wayne Rainey. The three-time champion has spoken with As and, in addition to analyzing the reasons why he believes that the five-time champion is still not as competitive as he should be, leaves a sentence that the Majorcan likes, which has started 18th in the FP1 of the GP of the Americas: "We must not doubt a big one, and Lorenzo is it" . 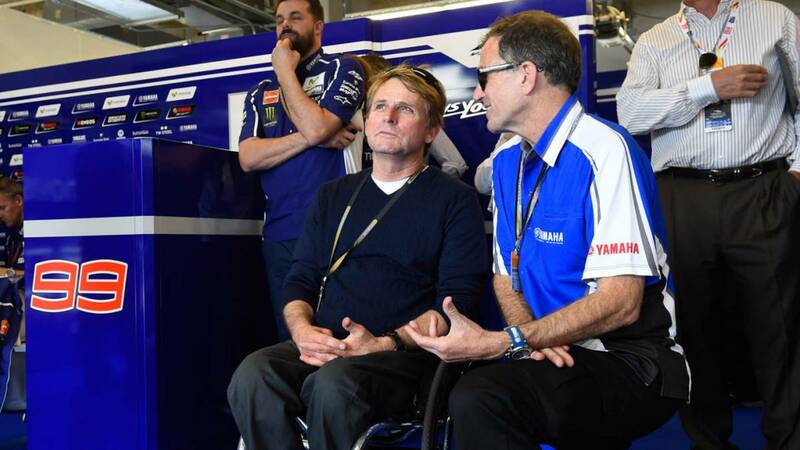 El californiando, three times champion of the 500cc world in 1990, 1991 and 1992, explains technically that "is too early to judge the role of Lorenzo in Honda. You can see the way that Márquez has to fly it and it's very fast with the front end. Lorenzo's piloting is more precise. He does not drive as fast with the front end as Márquez does and that may be the reason why it's costing him more. " And there goes the morale injection of the triple champion with Yamaha, which makes him look like an equal to Lorenzo: "All this said, I have no doubt that Lorenzo will reach the top positions with the Honda. There is no doubt about a big one, and Lorenzo is. He will end up finding himself well with his new motorbike ".